For many businesses, racking up charges on behalf of a customer is a necessary evil. The key (and likely hardest part of the whole process) is to keep track of of what charges go with which customer. You then – hopefully – pass on all those charges to your customer as billable expenses. 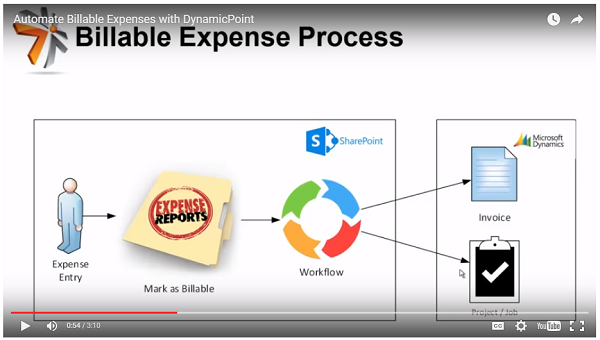 In our latest video, we dive into the DynamicPoint Expense Management application’s billable expense process. Our seamless integration with Dynamics GP and NAV not only gives your employee the flexibility to complete an online expense report but simply tag those billable expenses via integration with the Jobs or Project Accounting modules to the appropriate customers for ease in bill back to the client. Check out our short video to see it in real-time!